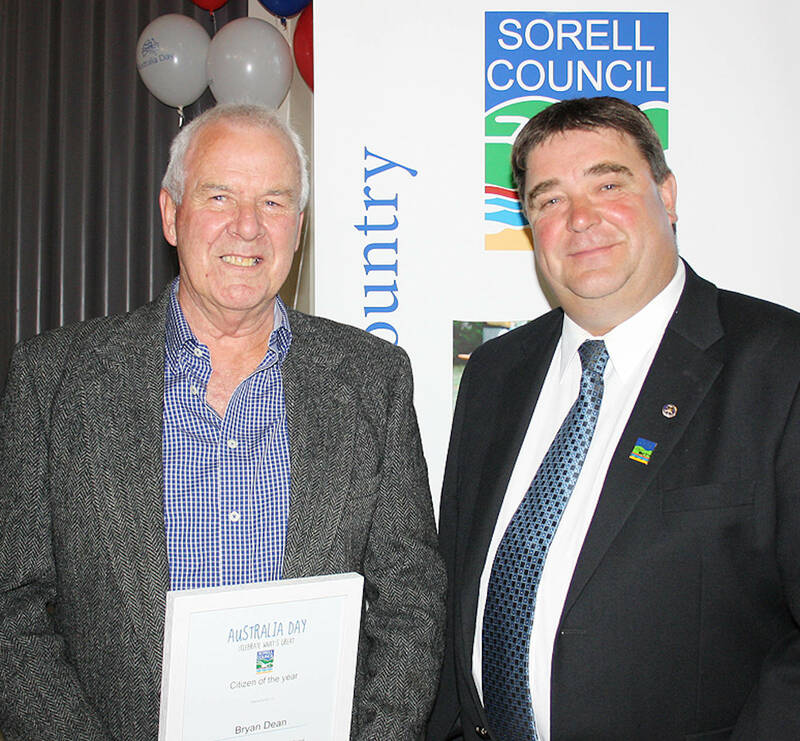 Master of Ceremonies, Jack Rheinberger, welcomed people to the 2013 Australia Day Awards and citizenship ceremony, which were held on Friday night 25th January at the Sorell Memorial Hall. Previously the presentations had been held after a community breakfast in St Georges Square. The evening was very well attended. Mayor Kerry Vincent spoke about the positive community aspects emerging in the wake of the bushfire crisis which had devastated the region. All present agreed that it was good to have something to celebrate together after a very stressful and trying time for our communities.